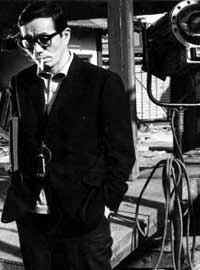 Japan lost another of its great fim directors from its 1950s reinessacnce. Kon Ichikawa, director of over 40 films, including classics such as The Burmese Harp, Fires on the Plain, and Tokyo Olympiad, died today in Tokyo. He also excelled at adapting novels into movies, including one of the only Japanese novels I've read, The Broken Commandment. Along with Akira Kurosawa, Yasujiro Ozu, Mizoguchi Kenji, Imamura Shohei, Seijun Suzuki, and others he firmly put Japanese cinema on the map.